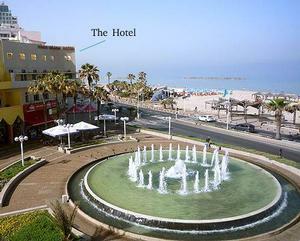 The hotel is located on the Tel-Aviv promenade at a beeline to the sea, 10 meters form the Mediterranean sea. Just a stones throw away from the hotel, you will be able to enjoy a sun-filled bathing experience and an sea of freedom. The rooms are equipped with cable television, a wireless Internet connection, a mini bar, air conditioning and huge sun porches overlooking the open sea. The landscape is exciting and appeasing and the evening sunsets are spectacular. The hotel offers state-of-the-art corporate services such as an intimate Internet corner, fax services and wireless Internet in the rooms (free of charge). The lobby is designed in an authentic, luxury style and evokes a wonderfully warm and cozy atmosphere. The hotel serves a rich and varied breakfast and offers laundering and dry cleaning services (for a fee). The Golden Beach Hotel sets new standards of quality and service, thereby allowing you to enjoy the best of both worlds. a 3-star hotel with the quality and service standards of a 5-star hotel, coupled with unparalleled personalized service. These fully accessorized rooms were designed to provide maximum support, tranquility and intimacy. The rooms are pleasantly carpeted, painted in warm colors, hospitable and offer a home style accommodation experience. The rooms include the following: Air conditioning, telephone, television, cables and radio, wireless Internet (free of charge) and a mini bar. Most of the rooms boast a huge sun porch at a beeline to the ocean and some of the rooms are also equipped with a pampering Jacuzzi. In the family rooms, you will find a sofa bed as well as a bed for a child . Furthermore, the hotel houses true penthouses that serve as luxury suites. The suites are equipped with a huge Jacuzzi, luxury beds and XXL balconies that give the feeling of an ocean holiday. Smoke-free rooms are also available. 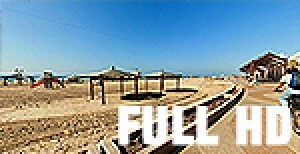 Address: 56 Herbert Samuel Street in the center of the Tel Aviv promenade opposite Jerusalem Beach, adjacent to the Opera Tower.